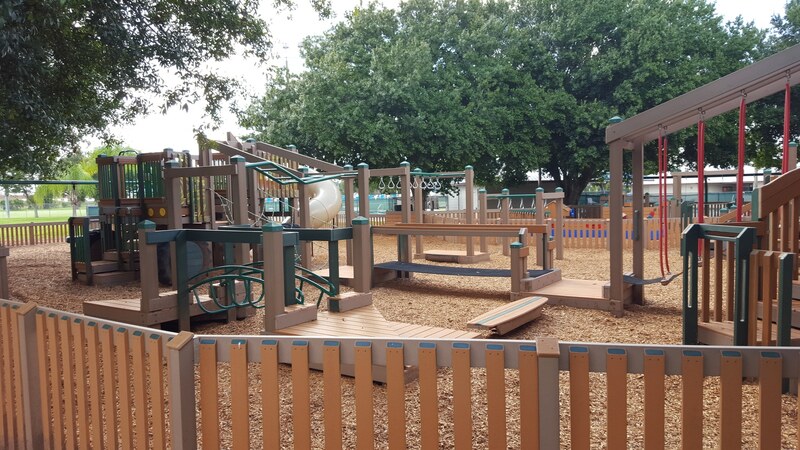 NuJak provided CM at Risk services for the demolition and construction of a new 9,160 square foot children’s playground for the County of Okeechobee Sports Complex. 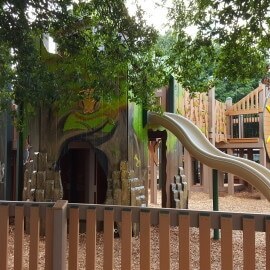 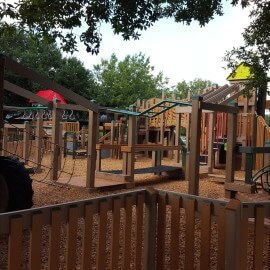 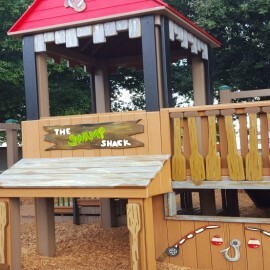 Reopened on September 12, 2015, the playground was rebuilt with recycled materials, ensuring a reduction in maintenance costs and still providing a 15-20 year life cycle for the unique playground. 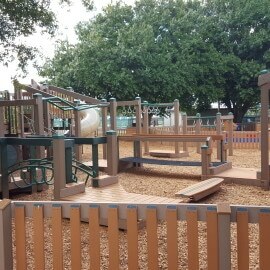 It was designed to allow for a separation of age-appropriate play equipment for 2-5 year olds and 5-12 year olds, making supervision of children on the playground easier and increasing safety for the user. 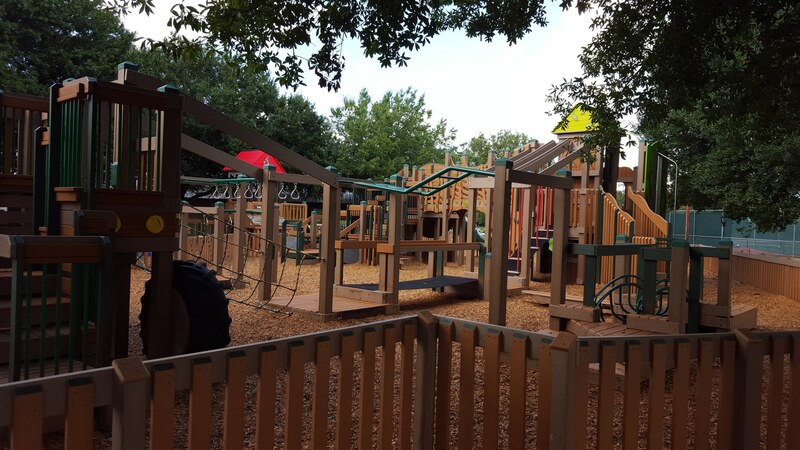 The playground has improved sightlines, new and updated play features, and designed to meet ADA guidelines. 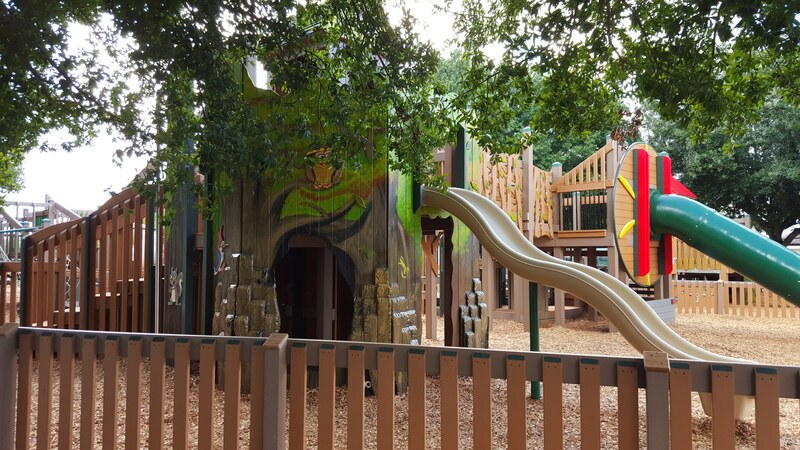 NuJak partnered with , who specializes in custom-designed outdoor play spaces, for the project.